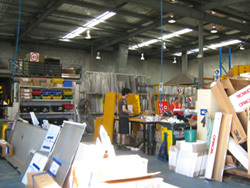 Sunny Signs services its clients with advice on the best type of material to be used in various applications. The design of layout which includes practical as well as aesthetic aspects of the applications are provided as part of the service. Sunny Signs supplies individually customised signs as well as a standard range to suit our clients requirements. These lines meet international uniform standards and are classified in the following categories. a comprehensive range of temporary and permanent signs and safety accessories for road traffic control . safety signs - encompassing all manner of hazard and industrial safety requirements. digital printing Large format printing for commercial advertising and other applications. Sunny Signs provides to our customers the comfort in dealing with a company with many years experience in the sign manufacturing industry with a reputation built on providing a quality product. As a 3M preferred supplier, signs that we produce are covered by the 3M Diamond Warranty Program whose duration is governed by the class of material chosen for a specific sign. As a preferred supplier, the company is audited by 3M to ensure that all our systems and procedures are being performed as per their requirements. The 3M warranty information is contained further in this catalogue. Sunny Signs has a certified Quality Management System in place to the standard ISO9001:2008, which covers all our core processes of customer service, product development, manufacture and delivery. We have a comprehensive Safety Management System to safeguard the health and well being of our employees and visitors which is certified to AS4801. With a dedicated team we will ensure ongoing management, monitoring and improvement of our systems. By utilising Sunny Signs you have the assurance of dealing with a Quality Assured company that is backed by a National Structure who uses reflective materials sourced from an internationally renowned provider of vinyl products. WALGA is pleased to confirm that Sunny Signs is a Preferred Supplier as part of the WALGA Preferred Supplier Panel for the Provision of Signage to the Local Government Sector in Western Australia. The Sunny Signs appointment followed a robust public process (Tender) conducted by WALGA to establish a Preferred Supply panel in this category area at the request of our Member councils to facilitate direct access to endorsed suppliers for the sector's significant spend in the area of Signage. WALGA looks forward to a long and successful partnership with Sunny Signs as a Preferred Supplier. Should you have any queries please do not hesitate to contact us at [email protected]. 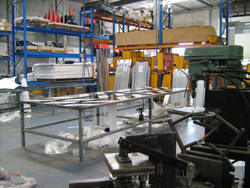 Industrial safety signs are sold to industry, particularly mining and construction. 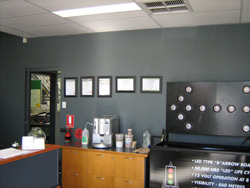 The firm is accredited by 3M Australia Pty Ltd to cover the warranty on the patented materials used. The company has also been certified to meet the requirements for ISO 9001 quality assurance. Sunny Sign's clients typically include. Orders are placed by telephone, fax or email, for standard products. Custom made sign enquiries will be followed-up by fax showing a computerised mock-up together with a firm price and delivery date. A ï¿½quote cartï¿½ facility is provided on our website for convenient viewing and selection of requirements. 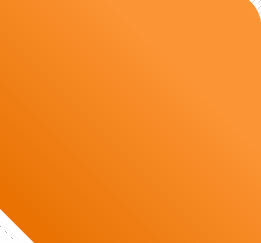 Our quotation will be provided within 2 working days. On receipt of an official order number manufacturing will proceed. 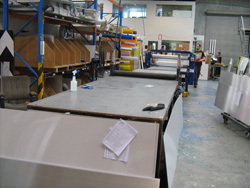 All signs are packed to 3M Australia Pty Ltd specifications. Slip sheets are placed over the surface before being covered by corrugated cardboard. Large orders are palletised. There are no special freight requirements for the product other than the 3M stipulated packaging. Stock on hand to ensure there is product available at all times. Reserve stock for large orders is held by local suppliers and is available within 48 hours of instruction. Prices quoted on standard and custom orders will be held firm for 90 days. EFT is available. Terms of payment are 30 days with an approved application for credit.